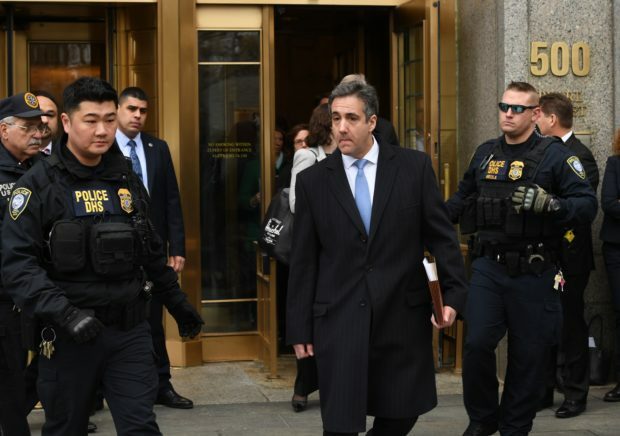 The Times source contradicts a Thursday Buzzfeed report claiming that Cohen indeed had told Special Counsel Robert Mueller’s office that President Trump instructed him to lie to Congress about his involvement in a possible Trump Tower project in Moscow. The New York Times could not “independently confirm” the report and cited the source disputing it. The statement by Mr. Carr, the special counsel’s spokesman, was unusual because it appeared to be the first time he had publicly challenged the facts of a news media account that had generated significant attention for its revelations about the president. The New York Times has not independently confirmed the BuzzFeed report. One person familiar with Mr. Cohen’s testimony to the special counsel’s prosecutors said that Mr. Cohen did not state that the president had pressured him to lie to Congress. National Review’s Kyle Smith wondered Friday morning — before the Special Counsel’s Office statement came out — whether the Times believed Buzzfeed. The New York Times‘ response has been not what I would have expected. So far, on its site, the only indication I can find that the Times even acknowledges that the BuzzFeed story exists is this Associated Press story, which doesn’t even pop up on the main page or the politics page. (Meanwhile, the last time I looked at the WaPo page, four of the top five stories were related to the BuzzFeed scoop.) The Times political reporters have of course been burning up the phone lines trying to match BuzzFeed‘s story. (And ace reporter Maggie Haberman alluded to the BuzzFeed story on Twitter last night.) But in the meantime you would expect them to at least run a big story on the homepage saying, “Report claims Trump directed Cohen to lie to Congress.” They haven’t done that. To me that says the New York Times is skeptical about either this story in particular, or BuzzFeed in general, or both.